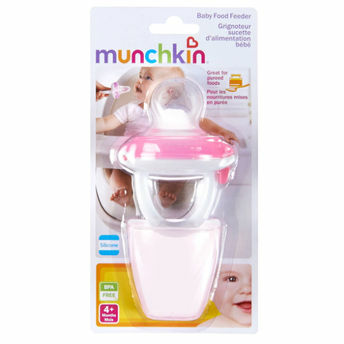 This convenient Baby Food Feeder offers a safe and easy way to feed baby purees, whether it's store-bought jars or homemade baby food. It has a small hole at the bottom, which allows food to pass through in digestible amounts, and an on-the-go cap perfect for travel or preserving purees in the fridge. The soft silicone pouch allows for easy feeding of mashed bananas, veggies, and more.